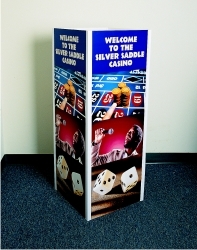 Make 4 sided signs for free standing floor displays or hanging displays. Four foot long sections connect sheets of plastic, foam board or wooden panels. 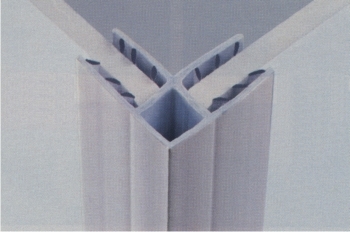 Plastic ridges inside the channels lock panels securely together.